These C9 Purple LED Christmas Lights are the workhorse for big projects. 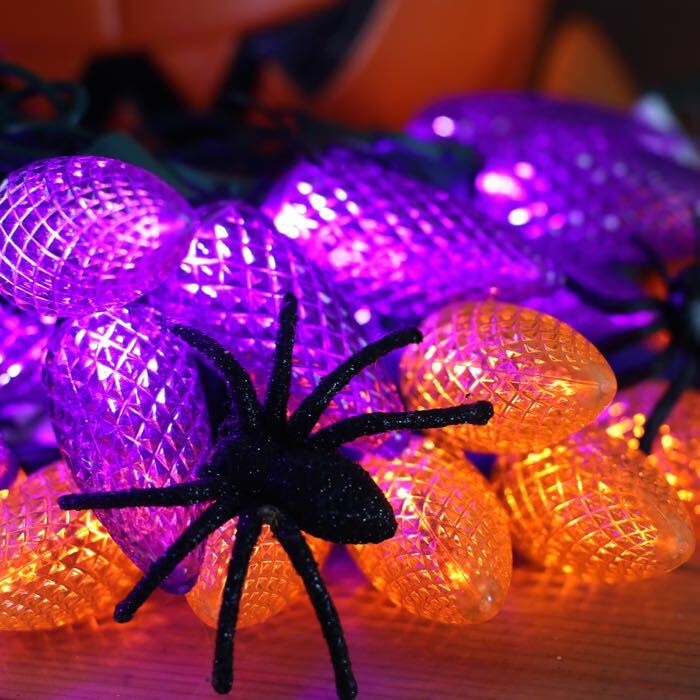 With virtually no heat output, use these light strings with confidence in larger quantities. Up to 87 sets can be connected in a series! 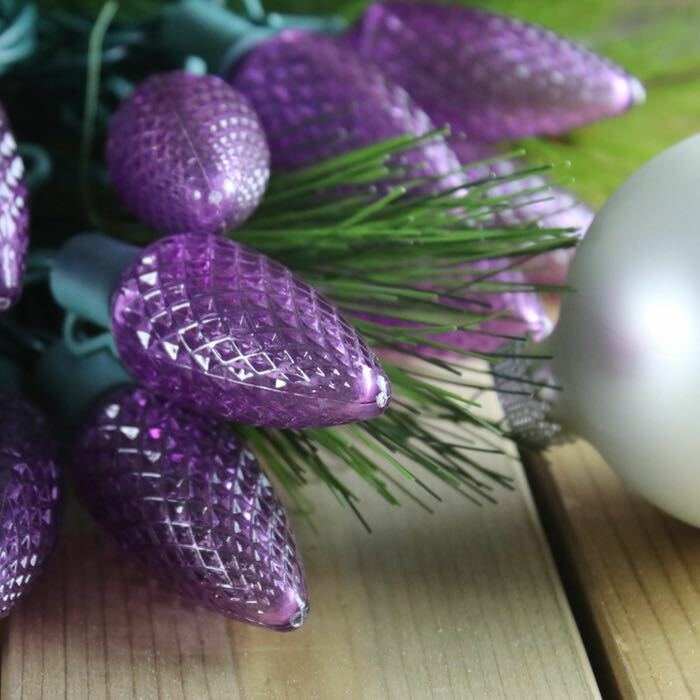 These faceted lenses bring a rich glow to your holiday greenery and other decorations. Be that "all purple" house on the block that all the neighbors envy. Line your roof, sidewalks, garage and pool house. More lights equal more fun! 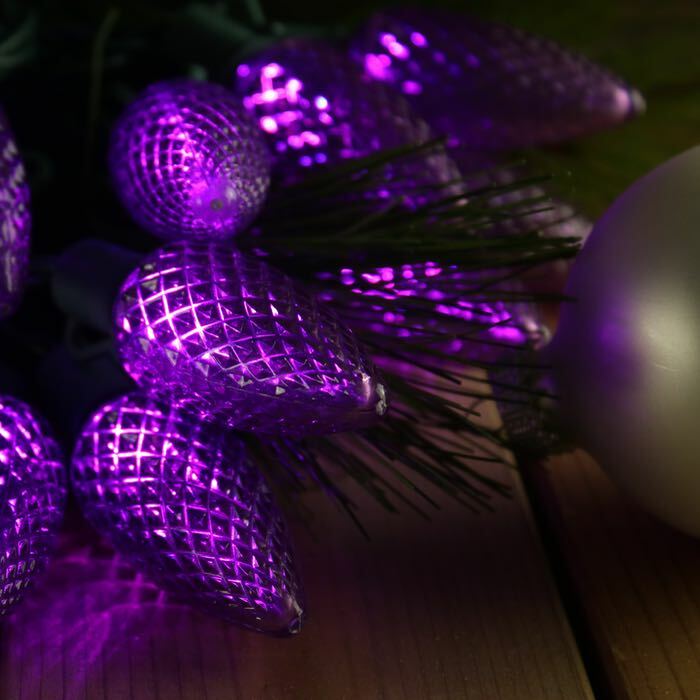 We suggest using these purple C9 Christmas lights in all types of indoor and outdoor applications. 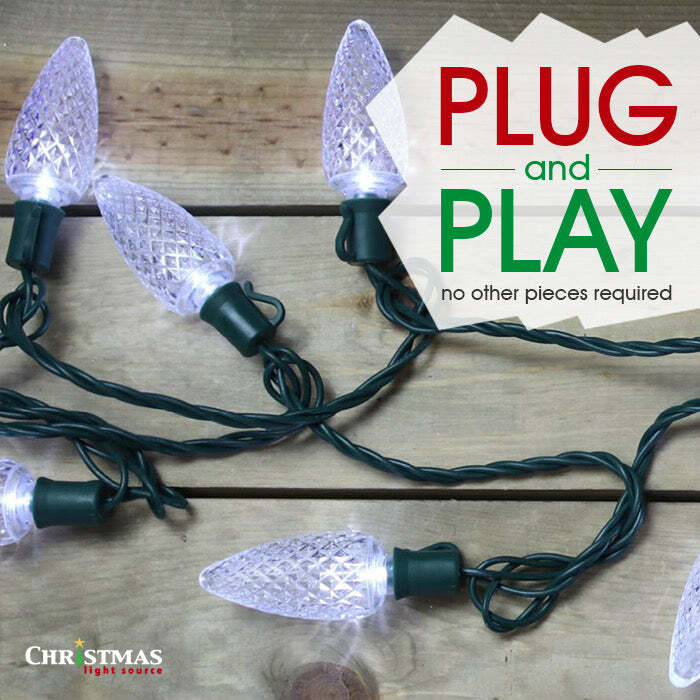 We suggest you plug all your LED lights into a surge protector. What is the difference in LED and Incandescent Christmas Lights? Love these lights!! I wasn't aware they were so big but I like them larger as they omit more light. Q: so the way I am reading this you can plug 3 sets together? A: Yes , you can plug in 3 sets together. In fact, you can connect up to 87 strings of these in series in a single run plugged into a single outlet or extension cord. Q: Product # LED-84312R-PB12 How far apart are the lights spaced? Good question - there is some variation in the industry in spacing with the C9 LED light strings. This particular set has 8 inch spacing between the LEDs. The approximate total length of the set is 16.6 feet with 16 feet of lit length between the first and last bulbs.